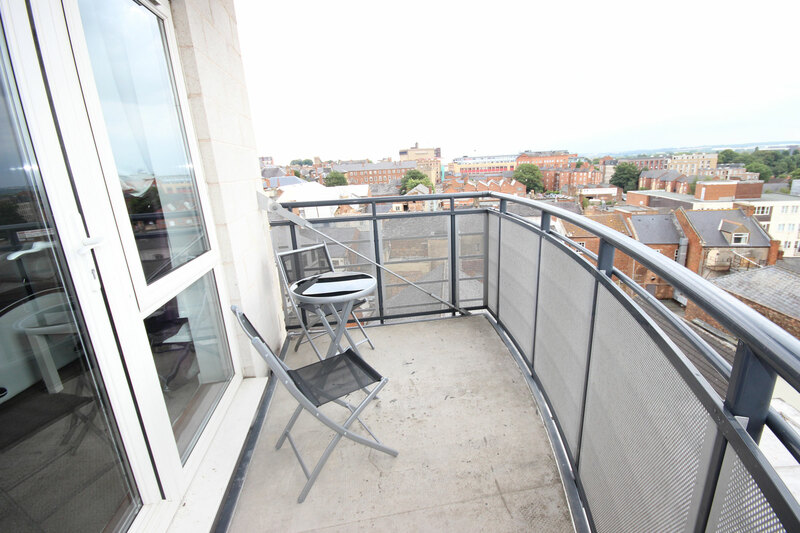 Northampton apartments at the Pinnacle are situated in the heart of the town centre offering the perfect accommodation solution for those on a working assignment. Our fully furnished apartments have all the benefits of staying in a hotel, but with more flexibility, freedom and cost savings. Shopping, eating out and a host of other entertainment venues are available on your doorstep, with the main travel links being just a short journey away. Meals can be prepared in an open plan, fully equipped kitchen area which is fitted out with all the essential appliances including washing machine and dishwasher. 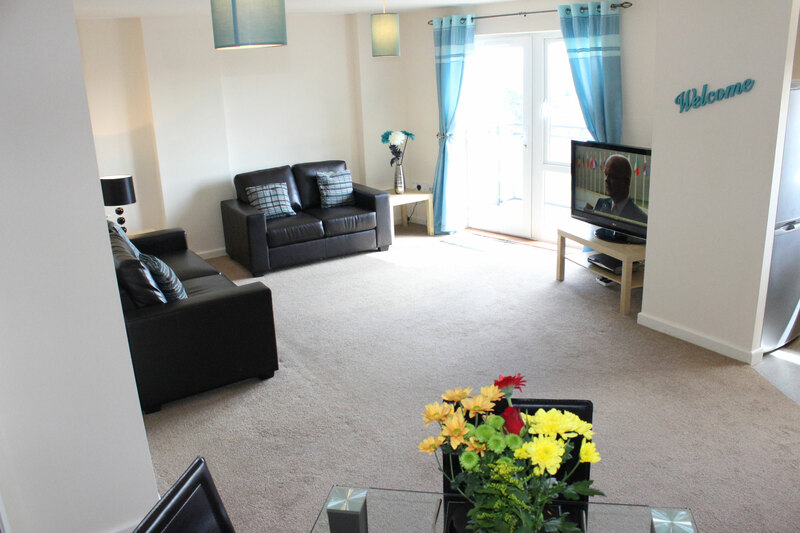 These Northampton apartments are light and spacious offering a relaxing place to stay. They are within easy travelling distance to many industrial estates including Brackmills, Moulton Park and Rushmills, together with the Royal & Derngate Theatre and Northampton Magistrates Court. 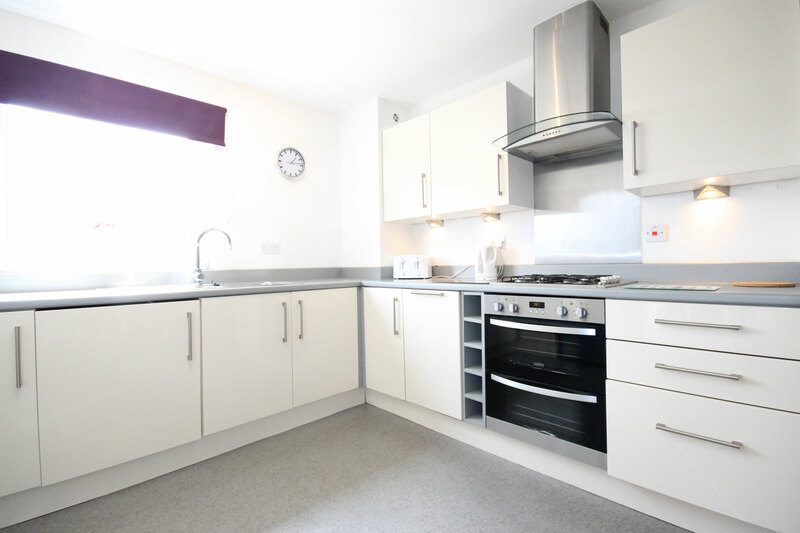 You can view our full list of serviced apartments in Northampton. These two bedroom, two bathroom Northampton apartments offer a fantastic Hotel alternative. They are conveniently located in the heart of the Town Centre offering a choice of restaurants, supermarkets and entertainment venues on your doorstep, together with the main rail and bus stations for easy access to other Cities. 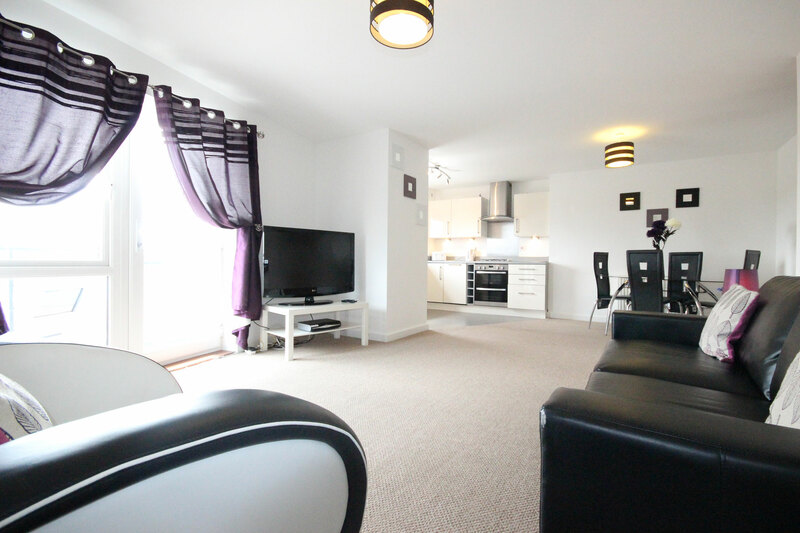 Furnishings are stylish and modern throughout complimented by spacious open plan living area and two double bedrooms. 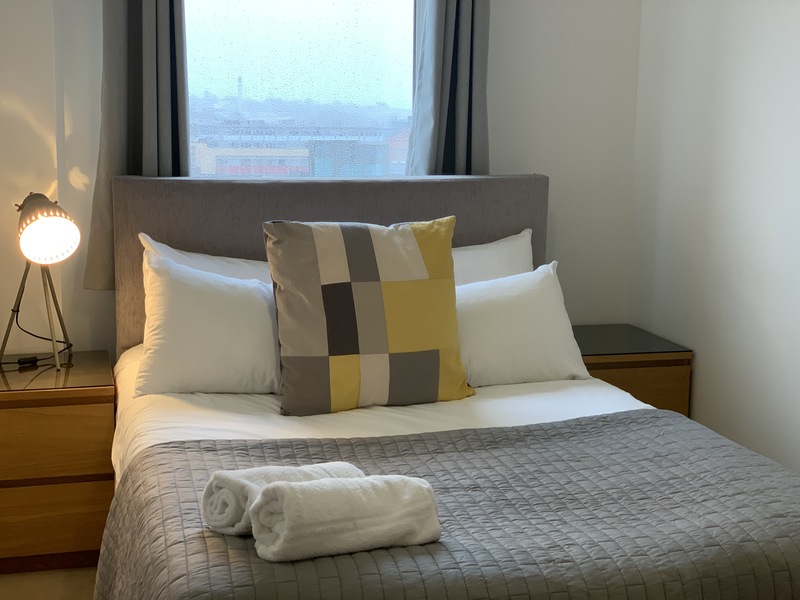 The master bedroom has the added benefit of an en-suite bathroom, making these serviced apartments perfect for 2 colleagues sharing having their own bedroom and bathroom, which helps keep costs to a minimum. Why not give a serviced apartment a try instead of a Hotel? A great alternative with more space, freedom and flexibility! Why book a Hotel when you can book A Cotel?